Gov. Ron DeSantis said he plans to hold next month's Florida Cabinet meeting in Israel. He's described himself as strongly pro-Israel on the campaign trail. The Florida Cabinet is planning to hold its next meeting in Israel next month. Listen to the April 12, 2019 episode of the South Florida Roundup. The segment on Israel runs 0:00 to 23:30. Gov. Ron DeSantis said the trip’s main purpose is to promote investment in the state. He also reiterated his push against companies like Airbnb. The company announced last week it reversed its ban on listings of Israeli settlements in the West Bank. It had removed those listings to protest the treatment of Palestinians there. 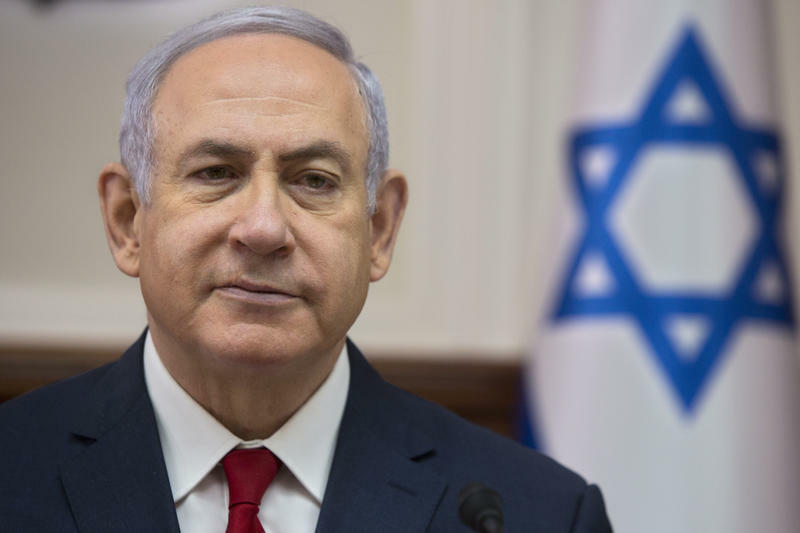 On the South Florida Roundup, host Tom Hudson spoke about the issue with WLRN’s Danny Rivero, The Miami Herald’s David Smiley and Emma Green, a staff writer at The Atlantic who wrote titled "What Another Round of Netanyahu Will Mean For American Jews." You’ll hear first from Rivero. DANNY RIVERO: Gov. Ron DeSantis ran on the platform of being what he called the most pro-Israel governor in the country. He came into office, and just a couple of days after he came in, he said, "listen this is a I take issue with this. And Florida, we're going to seek to do what we can do. We won't invest with them if they have an IPO." WLRN: Pension funds won't be able to invest in it. State employees cannot stay at Airbnb locations, for instance, that kind of thing. Emma, what are your thoughts about how all of this played out, as you've reported in Israel. You've looked at this situation in a much larger scope than just through the lens of Florida. EMMA GREEN: Not only did we see a pushback from American Jews and American politicians on that Airbnb decision and other BDS-style [BDS stands for Boycott, Divestment, Sanctions against Israel in the name of Palestines] decisions from companies. We've actually seen the prime minister of Israel Benjamin Netanyahu, who is now going to probably reform a new governing coalition for another term in Israel. He promised, just before the election, that he was going to begin the annexation of the West Bank. So not only do we see sort of this backlash from the U.S. perspective against BDS, but we actually see Israel and its leaders, its political elite, moving forward with this full vision of annexation. This idea that all of the West Bank should eventually come to be part of Israel. David Smiley, perhaps more at stake for governor DeSantis is less about the power of the purse and the potential of not having the Florida pension system invest in Airbnb should it decide to go public, but just the pulpit upon which the governor has been able to talk about this issue, right? DAVID SMILEY: There's a constituency in Florida that's really important. In this state, top of ticket races are decided by really slim margins, and he beat Andrew Gilham by more than 30,000 votes. The chairman of DeSantis's Jewish outreach effort suggested after the election that it was DeSantis's performance with Jewish Floridians that actually made up that gap. I think you can make a lot of different arguments in the margins but in terms of politically, in a state where decisions are so close, it is good for him to continue to have a good relationship with Jewish voters who by and large tend to vote Democratic. Emma, help us out with some of the the politics domestically and the politics within Israel. How the right is different when it comes to that type of political supporter? And the kind of courting that we saw with Gov. DeSantis and potentially could see in the future? EMMA GREEN: We're in this generational moment in American Jewish politics where the American Jewish population, which is by and large very liberal, meaning that they overwhelmingly vote for Democrats in the United States, are becoming much more fractured over this issue of Israel, which historically has been uniting issue. You have seen traditionally Jews who are solidly Democratic in terms of their domestic policy but who on this particular issue really tend to identify with that pro-Israel, sometimes more typically Republican stance, on strong defense aid for Israel. And you see those Jewish voters being caught somewhat in the middle by the political situation in the U.S. and in Israel. They may be not that comfortable with President Donald Trump some of his comments about white nationalism and they may not identify with some of the policies that Prime Minister Benjamin Netanyahu has enabled either in terms of security or in terms of the quashing of religious pluralism. 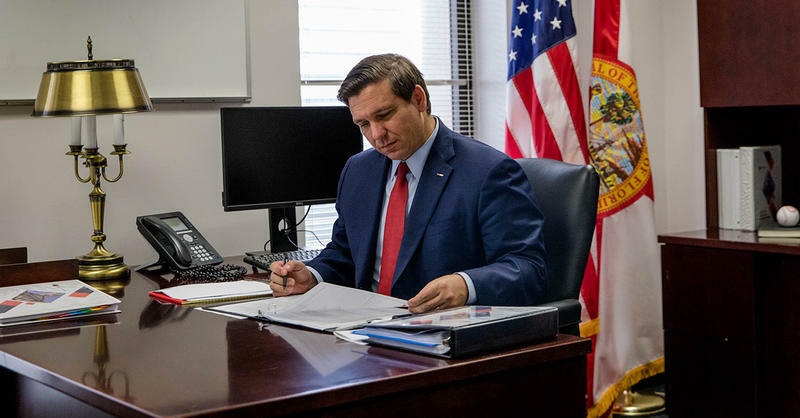 One of Florida Governor Ron DeSantis’ campaign pledges was to make Israel the first foreign country he visits in office. DeSantis came to South Florida on Tuesday to announce he’s keeping that promise – and that he’ll do more than just visit Israel. 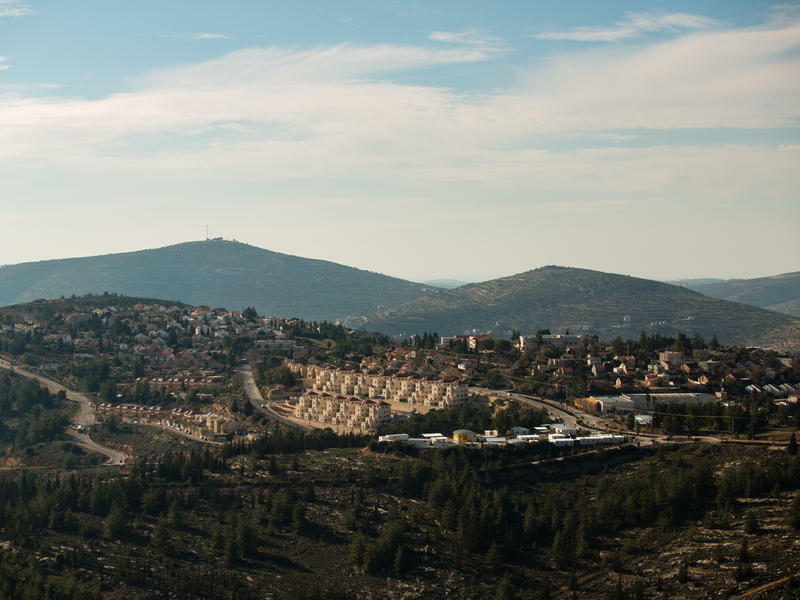 Airbnb will allow listings in the occupied West Bank — again. On Tuesday, the property rental company reversed a previous decision to remove about 200 listings in Israeli settlements in the area. Amid a federal court battle involving 32 counties, including several in Northeast Florida, Gov. 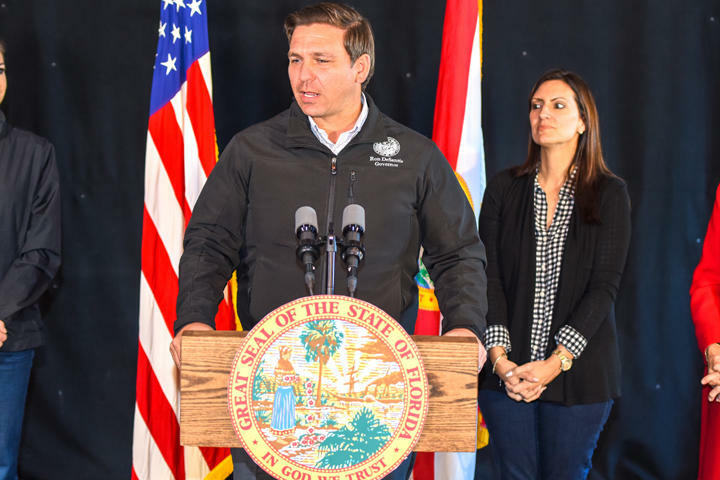 Ron DeSantis on Thursday directed the state’s elections chief to begin a process to address the availability of Spanish-language ballots and Spanish-language voter assistance. Florida's Office of Drug Control will be re-established in the governor's office and a state task force on drug abuse will be set up to provide a unified vision for battling the state's opioid epidemic, Gov. Ron DeSantis said Monday.